By taking part in UKIP’s Weather Lottery, you will be helping us to raise much needed funds for our campaign to get Britain out of the EU. 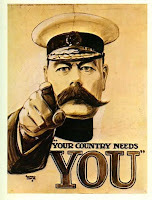 “It’s time we governed ourselves.” Please support us by filling in your entry form today. Due to popular demand and masses of people wanting to turn up the date has now been changed to December the 20th. We'll be meeting outside the Houses of Parliament in London for a day of leafletting, canvassing and good word spreading followed by a good old razz! John Tennant is flying over especially from Brussels ,Now THAT is dedication, so no excuses! Further bad news for Robert Kilroy Silk MEP. His banishment from the jungle in the TV show I'm a Celebrity Get Me Out of Here has been followed by calls for him to be kicked out of the European Parliament. All the other MEPs for the East Midlands are backing an online petition calling for him to stand down. UKIP's Derek Clark MEP says: "It's not just that he hasn't been working while in the jungle, it's that he hasn't spoken in the parliament since 2005. No one has seen him in the region for years. We even had a competition for anyone who could spot him – a competition no one in the region could win. "He's shown nothing but contempt for the people of the East Midlands and should do the honourable thing and resign." Following on from the successful leafleting days in Leamington Spa and Stafford, the next big UKIP leafleting day in the West Midlands is to be in Shrewsbury on Saturday 6th of December, please come and join the team and help. THE North West branch is calling for an enquiry into allowances paid to Wirral Council officials and councillors after plans to close libraries and leisure centres were announced this week. Chairman Phil Griffiths called the plans "outrageous". He said: "These proposals are supposed to be cutting costs but the £20 million figure quoted by Cllr Steve Foulkes for building "better but fewer buildings" will doubtless escalate out of control. "Why on earth build a "state of the art reference library" when there are adequate facilities already and the majority of people use search engines on-line if they want to access information? "Guinea Gap baths are a well-used and well-loved facility in Wallasey and it is disgraceful to propose that people in that area should traipse to Birkenhead or West Kirby for a swim. "They also want to close leisure centres – and all this at a time when the government is actively encouraging people to get fit. "If the council needs to make savings they should turn their attention to the outrageous allowances claimed by council officials and councillors. "That would be a worthwhile and popular move with ratepayers." The sister publication to Dorset UKIP News Wiltshire UKIP News has arrived and will be hitting the streets in December. I really am looking forward to the New Year! Don’t get me wrong, its not that I don’t like Christmas, but the 1st January will bring about a welcome change in European politics. It is on this day that the Czech Republic will take over the EU Presidency and Monsieur Sarkozy will no longer be in a position where he can so destructively influence the political agenda of the EU. We have heard and seen far too much from Sarkozy; he seems to have been carried away by his own propaganda and obviously fancies himself not just as President of the French Republic but also of the EU. And now we learn of his latest ill-though-out and detrimental policy; Sarkozy is advocating a supranational authority to regulate sport throughout Europe. The fact that it is now generally accepted by all parties across the political spectrum that there needs to be less regulation has apparently been lost on the French President. He is also ignoring the very key issue that without the Lisbon Treaty there is no authority under which the EU can act directly in relation to Sport because as yet it is not included in the other Treaties! But as ever with Sarkozy and his grand plans he takes no notice of the finer details. There has been much speculation as to why the French President, and others on the European stage, feels the need for the EU to regulate sport. And it seems the principle conclusion must be that they are jealous of the success of football’s Barclays Premier League. Although Sarkozy’s proposal is designed to encompass all sports it is widely acknowledged that the principle target is football. Since 2004 there have been increasingly loud rumblings about the amount of income generated by football clubs and their superstar players. Why this is of concern to European politicians is beyond me; it is clearly for a Member State to decide how best to keep their house in order. As long as the rules of the international organisations are abided by then really there should not be a problem. Apparently our Government has vowed to resist these French plans; sadly I cannot place much faith in that pledge but I sincerely hope that for once we don’t acquiesce to more unnecessary and damaging EU regulation. Whatever the outcome heed should be taken - if these plans are stalled for the moment, and even with the very welcome end of the French Presidency on the 31st December, the proposals are certain to return. UK Sport deserves better than to be further strangled by the bureaucracy and intransigence of EU legislation. UKIP MP, Bob Spink, has proposed an Early Day Motion (EDM) calling for the British government to follow the lead of the Scottish Parliament, Welsh Assembly and Northern Ireland Assembly and abolish prescription charges in England. The NHS in England has done a deal with pharmaceutical companies which will save £400m, only £30m short of the total amount raised by prescription charges in England. The Welsh Assembly abolished prescriptions charges a couple of years ago and prescription charges are being abolished completely in Scotland and Northern Ireland over the next 12-18 months. The ironic thing is that the Scottish, Welsh and Northern Irish health services are subsidising the cost of prescriptions using English taxes given to them under the Barnett Formula! Write to your MP and ask them if they share UKIP's belief that it is unfair for the English to have to pay prescription charges when the rest of the UK get them free and to sign EDM2527. That this House congratulates the Government on its new deal with pharmaceutical companies which is estimated to save the NHS £400 million on its drugs bill; notes that paid-for prescriptions raise £430 million in England; further notes that people in England often cannot afford the drugs they are prescribed, leading to health complications and additional subsequent costs for the NHS; and therefore calls on the Government and opposition parties to take this opportunity to abolish prescription charges in England. The following event was organized by the UKIP Witney branch. 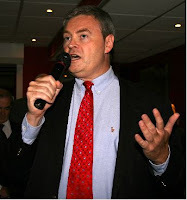 Philip Vander Elst, a UKIP prospective candidate for the South East in the 2009 European parliamentary elections, wowed the audience for his speech on “Why Britain should leave the European Union” last month in the Corn Exchange Witney. To a packed meeting, Vander Elst spoke with eloquence and passion about the damage Britain’s membership of the EU has done to our economy and democracy and he warned of further damage to come if the Lisbon Treaty is implemented. He explained that his objection to the EU was not taken from a “little England” perspective. His father had been a Belgian scientist and he himself, though educated in England, had spent much of his childhood in Belgium. But he thought European integration, through forming new ‘supranationalist’ institutions, which are increasingly concentrating power in a small elite of Euro-bureaucrats and politicians and making government increasingly remote from ordinary people, is bad for all of Europe, and not just Britain. He explained that he had fought against European federalism ever since his early twenties, when he had written the official manifesto for Conservatives Against the Treaty of Rome and has been a passionate defender of Britain’s right to govern herself ever since. His detailed and informative 45-minute speech struck a huge chord of sympathy with the audience (by no means all UKIP members) and sparked-off a barrage of questions which continued over refreshments and until long past the meeting was due to end. 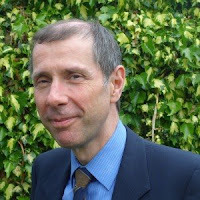 Philip Vander Elst, is a freelance writer, lecturer, and broadcaster, with 30 years' experience in politics and journalism. He is currently Number 4 on the UKIP list of MEP prospective candidates for the South East in next June's European elections. TORY activists are preparing to down tools and not campaign in next year's European elections in a row over the selection of Giles Chichester as the region's number one candidate, the WMN has learned.Sections of the party's rank and file are so concerned about the South West MEP's re-selection that they are preparing to call on Tory HQ to intervene. The split stems from Mr Chichester's admission that he wrongly channelled EU funds through a company he helped run – but was later cleared of profiting from the breach of the rules.EU watchdogs found that the £400,000 had been correctly used for secretarial and assistant services, but the practice contravened rules on MEPs using companies they are connected with to handle the money. The rebels are keen not to be publicly seen as divisive but fear Mr Chichester being top of the Tory selection list will not only hit the vote in the EU poll, but also undermine campaigning in county council elections in the region, which take place on the same day, June 4th .Leading activists, including parliamentary candidates and senior councillors, are understood to be so unhappy with Chichester's inclusion they are threatening to down tools and not campaign or even vote for the party. Nigel Farage has criticised a decision by the EU to severely limit the amount of cigarettes and alcohol that you can take between the UK and the EU for personal consumption. MEPs have narrowly voted in favour of reducing the amount of cigarettes you can bring home for personal consumption by 90% and the amount of alcohol by 50%. The Labour MEP for the South East euroregion, Pete Skinner, voted in favour of reducing the limits claiming that it will stop smuggling. Which is an interesting claim because I'd imagine - as would most people I expect - that cutting the benign supply of cheap fags and booze would merely increase the market for gangs of organised criminals. The kind of gangs that hijack lorries at service stations or offer a diverse range of services such as people trafficking, protection rackets and drug dealing. Still, keeps the eastern european gangs in a job. UKIP's new forum is now up and running and accepting registration requests. You may see me on there, depending on whether or not my account gets approved. The rules on registration say that you must use your real name as your username, something I never do for security reasons. A campaign to protect Britain's pubs is to be launched in Wigan next month.UKIP chose the town as venue for the launch of its Save The British Pub campaign and will roll it out nationwide if the event is a success. The party is preparing for a public meeting at Newtown Labour Club on December the 10th 2008.UKIP wants a change in the law to allow smoking rooms and also wants the Government to lower taxes on drinks. 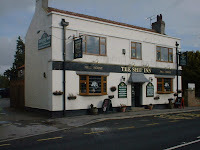 It chose Wigan because it believes there is great support for pubs in the town. 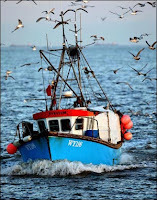 The European Commission's approval of a £44.3 million (€52.5 million) aid package for the Belgian fishing industry for the period 2007-2013 yesterday (19.11.08) has attracted a broadside from Eastern Counties MEP, Jeffrey Titford. "This is a huge amount of money for a small fleet. The Belgians only have about 880 fishermen in total and will use these funds to intensify their fishing in our waters, at the expense of British fishermen. "The great tragedy is that our cash starved fishermen will be getting nothing. The Belgians are prepared to provide match funding for anything Brussels gives them. The EU is providing £22.2 million (€26.3 million) and the Belgian Government is coming up with the rest. Our Government will not and it means that there will be no similar aid package for the British fishing industry, which is in dire straits. It is insulting for our fishermen to see their competitors so well funded and plundering our waters, while their own industry continues to be drastically under-funded and drowned in red tape. It is high time this Government took its responsibility for the British fishing industry seriously. "I need hardly add that if Britain were to leave the EU, there would be enough money saved to enable the Government to massively increase funding for fishing, not to mention the fact that we would regain control of our own fishing waters, which was so sadly lost when we joined the then Common Market." At a series of public meetings in Suffolk during October and November, the Prospective Parliamentary Candidate for South Suffolk and UKIP Deputy Leader David Campbell Bannerman, has pinpointed the European Union (EU) as the hidden reason for major cost rises in household energy bills and for Post Office closures. "The British people are not being told the truth about the influence of the EU. The other 3 parties, the Lib Lab Con, try to hide the significance of EU laws, controls and funding costs on our daily lives. UKIP's job is to tell the truth about the massive control the EU has. In short, we are now being governed from Brussels not Britain." "The EU is responsible for 120,000 directives and regulations, an avalanche of laws, which affect every area of our lives. 75% or more of the laws passed at Westminster now come from the EU, often without any genuine opportunity to stop or reform them. Membership of the EU costs £50 billion a year, including £10 billion this year net for EU funds out of our taxes. That could pay for an awful lot of hospitals, schools and transport spending in East Anglia." "Take Energy for example, the EU´s panicky policies to close down coal and oil fired power stations, to fulfil their EU Directives, could mean the lights go off in Britain, and that British citizens are put in serious danger." "Wind turbines are being massively subsidised - by around £1/2 million a year each turbine - but they only work 25% of the time, and need back up from conventional power stations." "UKIP would abolish these dangerous EU emissions targets and build more nuclear plants and clean coal plants over time, so we don't have to rely on Putin's Russia or the volatile Middle East. But we can't do this in the EU. UKIP wants a free trading arrangement as the EU's single largest trading partner, which Norway and Switzerland have ( the two wealthiest nations per head in Europe ), but to withdraw from the emerging political state. UKIP wants super trade but not the superstate !" "Meanwhile post offices are being closed due to EU intervention and EU rules. 2,500 post offices have to close because the EU does not allow Britain to spend British taxpayers' money on supporting British post offices. The EU has made it illegal under State Aid rules to subsidise the post office more than £150 million a year. These same EU rules forced the closure of Rover and the chaos over Northern Rock." "Residents and businesses will soon have to drive long distances to big post offices, because the EU has devastated the rural post office network, including closing the post office at Acton, near Sudbury. The EU's 1997 and 2002 Directives are also destroying the Royal Mail, eliminating its monopoly from 2009, so that cherry picking rivals can cream off the profitable areas, but abandon the rural areas. The EU is doing to the Royal Mail and post offices what Beeching did to our railways." Please try not to laugh, this is deadly serious. Someone has leaked the BNP's membership list and posted it on the internet. Some BNP members are less than please judging by the comments on one BNP blog. Some of them are unhappy because they're ashamed of their membership and have been outed and some are understandably worried because they could lose their jobs - such as the police officers who are banned from joining the BNP and whose names and professions are on the list. There is open revolt on BNP blogs about this. Interesting, there are complaints about the BNP membership figures being inflated by as much as 50% and those false figures being used by Griffin to stop attempts to remove him as leader. And in case anyone is wondering, I've checked the list and there are people I know to be BNP members on the list so it's genuine.The list includes names, addresses, phone numbers and email addresses of all members up to September 2008. How can Griffin run a country if he can't run a membership list? In a speech to the European Parliament today (18.11.08), Jeffrey Titford, the UK Independence Party MEP for the Eastern Counties has exposed what he believes is the true intent behind a new EU scheme to provide fruit and vegetables to schools. Mr Titford pointed out that the scheme is the first step in taking control of what we eat, that each piece of fruit would have an EU label and the whole project would be supported by a major publicity campaign, which he described as 'propaganda'. He also highlighted the market fixing that will be possible under the conditions of the scheme e.g. mandatory rules stiupulating that all the produce must come from the EU, which in the case of bananas, would prevent British suppliers who obtain their produce from the Carribean Commonwealth countries from taking part and provide French suppliers with a lucrative new market, as their bananas come from Guadeloupe and Martinique. This project is being dressed up as all about concern for the welfare of children. However, the real agenda is a disturbing mix of 'Nanny Brussels' control freakism, sheer naked propaganda and market fixing. Nanny Brussels likes to be in control of everything, including what we eat. Putting itself in charge of what children eat at school is the first major step in that process. The propaganda angle is that each piece of fruit will have an EU label on it and the whole project will be supported by a massive publicity campaign. In regard to the fruit market, I understand it will create a great many opportunities for mischief such as mandatory rules that all the fruit must come from inside the EU. In the case of bananas, this could, at a stroke, rule out British suppliers who obtain their bananas from the British Commonwealth Caribbean countries and thus provide a lucrative new opportunity for the French islands of Guadeloupe and Martinique . No more Nanny Brussels, thank you. Cumbrian voters of every political persuasion have been asked to lend their votes to UKIP in the Euro-elections. The bold call was made by party chairman, Paul Nuttall, at an open meeting held in Kendal at the weekend. "Lend us your vote," was his message talking about next June's elections for the European Parliament. "If you like the EU you can vote Labour, Conservative or Lib Dem. If you don't like the EU, then there is only one show in town – UKIP. "We are no longer a single issue party and have a raft of policies on all manner of subjects, such as education, law and order, health and energy. "But, in relation to the Euro-elections, there is only one issue – the European Union. And we are the only party fighting to get Britain out of it and regain the right to run our own country. "You are not electing a government or even a council, so please lend us your vote in the Euro-election," said Mr Nuttall, who is the party's lead candidate in the North west for the contest. Also present at the lively meeting, held at the Stonecross Manor Hotel, was Phil Griffiths, North West chairman and Dr Fred McGlade, regional organizer, who also spoke of the party's election campaign. Do I have to say any more ? Vote UKIP. On Thursday night (13.11.08) 60 sixth formers at Brentwood School in Essex were treated to a lively debate on the motion: 'Britain should leave the European Union' between Jeffrey Titford, the Eastern Counties UKIP MEP and Linda Jack who is the number two candidate for the Liberal Democrats at next year's European Election. Ms Jack centred her case against the motion on the familiar territory of the need for countries to work together through EU membership and that pulling out would leave Britain isolated. Mr Titford pointed out that "there was life before membership of the EU" and highlighted the huge cost of British membership both in financial and political terms, with the unelected European Commission becoming increasingly powerful at the expense of democratically elected governments in the member states. He also illustrated how our basic rights, such as the presumption of innocence are being eroded by the European Arrest Warrant and other attempts to make the British people subject to European style justicial processes. After an equally lively question and answer session with the students, a vote was taken and the motion was carried by 35 votes to 23. Speaking after the debate Mr Titford said: "I was delighted to be asked to take part in the debate and found the question and answer session particularly stimulating and interesting. It was encouraging to see that many of the students had a good understanding of the very serious problems being created by British membership of the EU or were open-minded enough to take them on board." Robert Kiljoy-Silk, the former UKIP MEP and walking ego, has proven to be just as irritating in Australia as he is in England. Kiljoy started what will hopefully be a very brief stint in I'm a celebrity get me out of here I'm a nobody, give me a job yesterday and from the outset lived up to his reputation as an abbrasive, irritating egotist. At this juncture I must say that I'm not in the habit of watching "reality" TV shows and other variations of trash TV but I do find this one quite entertaining. It's probably those cheeky geordies presenting the show ... or the lovely ladies in bikinis ... or maybe a bit of both! Anyway, back to Kiljoy. There have been some suggestions - primarily from UKIP - that Kiljoy shouldn't be paid while he's on the other side of the world. I accept the argument that he can't be doing his job as an MEP at the same time as being in Australia on a TV show but when the world carries on revolving and his "constituents" in the English East Midlands don't all suffer from a horrible death at the hands of a bent cucumber because he's away, perhaps it will remind everybody what a mickey mouse outfit the European Parliament is. UKIP's MEPs do an excellent job of disrupting the business of the European Parliament but as we all know, the real power lies with the European Commission, the unelected quasi-civil service of the EU. The European Parliament could be abiolished tomorrow and the EU would carry on making 70% of our laws. Besides, what hope is there of depriving Kiljoy of his MEP's salary for spending a few days in Australia when he's supposed to be in England, working, when Ashley Mote not only kept his job, but his full £60k MEP's salary, whilst serving nine months in one of Her Majesty's hotels for benefit fraud? Walsall UKIP campaigners have selected Elizabeth (Liz) Hazell as their candidate for the by election taking place in Birchills Leamore. Liz has been a long standing member and activist for UKIP in Walsall, she is also on the UK Independence Party West Midlands MEP candidates list for the European elections which are to take place on June 4th 2009. Liz said about this by-election, which is due to take place on Thursday 27th November, "I am one of seven candidates standing in this election, as a UKIP candidate I am the only one who represents a political with the only policies to tackle the problems the people face. None of the other parties will take Britain out of the EU which now makes and imposes upon us around 80% of our laws, UKIP is the only party with a realistic policy of taking Britain out and restoring full democracy. Because of this we can stop Post Office closures, plans for road pricing and identity cards, all of which are being imposed upon us from the EU. The others may talk about what they will do, but that is as far as it goes, the power behind the throne, the EU, will instruct them otherwise." Attending the champagne launch of the Orbis building, the new headquarters for the offshore wind industry in Lowestoft on Friday 7th November, UKIP representatives Professor Stephen Bush and prospective MEP Andrew Smith were seemingly the only delegates who were opposed to the mad rush for wind turbines. These turbines produce electricity for only around 25% of the time at a cost for onshore windmills about 50% greater than for our conventional power stations and more than double this for offshore wind turbines, according to the Royal Academy of Engineering Report on alternative electricity production processes. "Pursuing the Government's recently adopted target of an 80% reduction in our CO2 emissions by 2050 and the intermediate target of having one third of our electricity generated by wind in 2020, will put the lives and the livelihoods of the British people in terrible hazard. It will expose us all to power cuts and the dangers of relying almost entirely on the most costly and variable of energy sources, namely wind, and gas imported from politically unstable countries. In contrast, UKIP advocates an immediate start on a long-term programme to build around 50GW of nuclear power capacity over the next 25 years, devoting the bulk of the nuclear decommissioning budget of £60 billion to this purpose through a new British nuclear company. This programme would run alongside the 6GW new nuclear capacity likely to be built by the French company EDF, over the next 10 years. This programme would give Britain a major, reliable, nationally owned energy resource to replace much of North Sea oil production. And this programme would also achieve a solid, bankable cut of over one third in UK emissions. Prospective UKIP MEP candidate Andrew Smith added: "The Government's fantasy target of an 80% cut in emissions was seen apparently by all the speakers at this Lowestoft event as justification for the gigantic and ultimately futile diversion of our nation's resources to the pursuit of the delusion that climate change can be stopped by actions taken in this country. This is madness!" The basic rule of finance is don't spend more than you earn. Second is don't borrow more than you can repay. In other words: live within your means. Not so for the Labour government. It would appear that Gordon Brown has invented his own rules. For 11 years he has conned the population and parliament into living beyond their means. The inevitible result which most people saw coming was the crash. And, would you believe it, he reckons that the only way to save the British economy is to keep on spending and borrowing. He has all the answers. After all for 11 years he had been in control of it all. Incompetent stockbrokers or banks will be bailed out by the Brown government - with your money. If you are a hardworking individual with financial difficulties, however, tough luck - you can go bankrupt. And if you think you can handle your affairs sensibly, then don't worry he will keep on spending your money for you, building up further debt. It is called fancy names to confuse us: "government borrowing" or the "national debt". But have no doubt, you will pay for it. When will we get a sensible government? So, I wonder, has anyone sent Jamie Oliver a UKIP membership pack yet? Well, it's a good job I'm not a betting man because I'd have been out of pocket if I'd put money on the prediction I made yesterday for the by-election in Boston. The BNP somehow managed to win the seat with just 2 votes shy of a 50% majority over the Independent Boston Bypass candidate. UKIP didn't, as predicted, come last - that dubious honour fell to the Lib Dem candidate who trailed the UKIP candidate by one vote with 23 votes. As we said yesterday, Boston is 98.4% white. That means that with a population of 58,400, less than 950 of them are black or minority ethnic. UKIP MEP for the West Midlands, Mike Nattrass, has some spare places for a visit to the EU's Parliament on the 4th of December. Anyone living in the West Midlands euroregion wishing to visit the EU Parliament and experience the waste and corruption first hand should contact Mike as soon as possible for details. The EU will even pay you to visit their Parliament by way of an expenses claim once you've got there. Mike and the UKIP staff at the EU's Parliament will look after you when you're there, give you tours of the building and you even get experience, first hand, the dishonest mis-counting of votes. Voters in the Birchills Leamore ward of Walsall will be electing a new councillor on 27th November. The UKIP candidate is Liz Hazell, a married mother of two from nearby Willenhall. Click on the icon below to view her election leaflet. Nikki Sinclair, chairman of UKIP West Midlands regional committee, has just finished the first ever edition of the new "UK Independence" magazine for the Midlands counties. The magazine has just been sent to the printers and will be posted out shortly but Bloggers4UKIP has been sent a PDF version of the magazine so you can get a sneak preview. Just click on the icon below to get your copy of UK Independence. Can't view this file? Click here to download the free Adobe Acrobat Reader. We all know the EU is barmy. It has been barmy for a long time, and proved it conclusively when it introduced laws saying that bananas, carrots, celery, cucumbers and a whole variety of differing fruits and vegetables had to meet an exacting set of standards before they could go on sale. After all, with all that evidence showing that crooked carrots, bendy bananas and crinkly cucumbers can give us all the foulest of diseases, the EU was acting to protect its citizens, surely? What's that I hear you all cry? There is no evidence that misshapen vegetables are harmful? Then why would the EU introduce such measures? A common set of standards: sprouts must be a certain diameter or shoppers will get confused? I think not: I think its more to do with the desire to constantly exercise power. Now, given that there has been a massive food shortage courtesy of turning our farmland over to the production of bio-fuels, and that fishermen already have to dump tons of perfectly good stock back into the sea to avoid strict EU fishing quota laws, perhaps allowing these mutant fruits onto our market might not be such a bad idea? Well, the EU has partially come to terms with this logic. In an agreement reached on Wednesday, rules covering some fruits and vegetables are being relaxed, though not repealed entirely. If, as our government would have us believe, this is still a sovereign nation, why do they not announce that they are repealing these rules themselves? Allow produce that doesn't meet exactingly stupid EU standards to be sold on markets: having more food available can never be a bad thing, surely? Perhaps the reason they won't is that they are telling lies to the people, and that this is not now, and has not been for some time, a truly sovereign country. The next Day of action leafleting is to be held in the Stafford constituency on Saturday 15th of November, could all of those who would like to join the leafleting team on that day please email Derek Bennett at ukipderek@hotmail.co.uk . The idea is to leaflet area´s where UKIP has not campagined before hoping to get UKIP actvie in those areas and setting up branch´s there.The leaflets will be supplied by Alan Bown and the pre-paid evenlopes will inculde lots of UKIP info. As before, when we held our first successful West Midlands team leafleting day in Leamington Spa, we will meet up in the morning at 9.30am,, so no lie-in this Saturday, it's up with a lark and we want to see you bright eyed and bushy tailed, so not too much indulgence in the pub the evening before, please. The teams will then disperse until lunchtime where we will all meet up for a spot of lunch and a bit of refreshment, then back out in the afternoon. These leafleting days are proving worth while, not only do we get a lot of leaflets out in one go, but its good to meet up with fellow campaigners, young and old, and do some worthwhile campaigning. This is well worth going to !! See you all there ! A local election is being held in the Fenside ward of Boston, Lincolnshire to replace a disgraced councillor who resigned after being convicted of drink driving. Boston Borough Council is controlled by the Boston Bypass Independents, a local pressure group turned political party. Local pressure groups are becoming increasingly popular at a local level although it is unusual for them to control councils. Their main success is in gaining enough support to hold the balance of power on councils although Save Kidderminster Hospital managed to get an MP elected and then re-elected. Voters have 6 candidates to choose from - Labour, Tory, Lib Dem, UKIP, BNP and Boston Bypass Independents. The borough has been independent controlled for some time with the Tories generally being the largest party on the council until the Boston Bypass Independents group was formed. UKIP did well in 2006, beating Labour and the Lib Dems and taking second place. Subsequent elections have been terrible for UKIP although the last by-election in Boston, held in July this year, saw UKIP finish second from bottom above Labour. The Tories are riding high at the moment - they're taking control of councils that have never voted Tory before, let alone councils that they've always been the largest or second largest group in. The Boston Bypass Independents have a strong following in the borough but they will be tainted by their leader's drink driving conviction. The Lib Dems's sole reason for existance, if we're honest about it, is to provide a moderate "on the fence" party for disaffected Tory and Labour voters to give protest votes to. There will be a lot of protest votes. Labour are dead in the water in England despite the media hyping their unexpected victory in Glenrothes but some people will be stupid enough to believe Gordon Brown is capable of dragging us out of the recession he helped to cause. The BNP have a reasonable following in Boston and they will attract disaffected Labour votes. Only 1.6% of the population of Boston is from an ethnic minority and the BNP generally do well in areas like this, as the previous election results from Boston demonstrate. Finally, UKIP will do badly I think. The last few by-elections have been poor and the EU has been relegated to the bottom of most peoples' list of priorities by the credit crunch, recession and immigration. The more votes the Tories get, the less UKIP will get. Two of the UKIP MEP candidates for the European elections in June 2009 were among a handful of accountants from business who attended a presentation of the EU accounts on Tuesday evening (11.11.08) at the Chartered Accountants Hall in the City of London. Andrew Smith and Michael McGough are both chartered accountants and they are number 3 and 6 on the Eastern Counties UKIP candidate list. 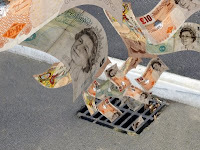 Despite continuing high error rates amounting to £5.02 billion of mis-spent funds in 2007, the EU’s Chief Accountant claims he received a clean report for last year. The presentation was made by Brian Gray, the British chartered accountant who replaced Marta Andreasen as Chief Accountant of the EU. Ms Andreasen was sacked by the EU after she refused to sign defective accounts, and she is standing as a UKIP MEP candidate in the South East. Mr McGough pointed out that Mr Gray’s claim was inconsistent with the auditor’s report and an investigation is under way. Andrew Smith was particularly shocked when David Bostock of the European Court of Auditors stated that "Nobody seems to care if [there is] a high rate of error [in the EU accounts] for Structural Funds, except a few extreme Eurosceptics. Nobody suggests stopping these programmes due to a high rate of error". After the meeting Mr Smith said: “UKIP cares and would certainly stop such programmes as the auditor's casual approach to errors is totally unacceptable. In 2007 the EU had to recover wrongful payments of EUR 1.5 billion but the amount which was irrecoverable was not disclosed." Of course the EU knows best! A man from Oldham is seeking compensation from the EU after they legislated him out of business as a mole catcher. Peter Brown had been culling moles using strychnine for 18 years and operated a UK government-approved scheme serving 87 farms in the Oldham area. Moles push soil to the surface, releasing lysteria which poisons livestock. But the all-knowing EU has decided that killing moles with strychnine is cruel and insists that traps and other poisons like aluminium phosphide are used instead. But, just like the British government with the fox hunting ban, it is an ill-informed and ultimately less humane change for the worse. Moles may be injured by a trap, escape and die days later from their injuries. Even if the mole is caught, it can take some time for them to die. Aluminium phosphide, according to Mr Brown, can take two days to kill a mole and I'd rather believe the word of a mole catcher on mole poison than the word of a politician. Mr Brown went to see his MEP, Chris Davies, the eurofederalist Lib Dem MEP for the North West euroregion who is such an expert on mole catching that he told the Oldham Advertiser that strychnine isn't safe and that killing a mole with strychnine is too inhumane. In fact, he even wrote an article for issue 72 of Pesticide News saying as much back in 2006 and even claimed that moles could be a gardeners friend! No method of culling moles is going to be nice but the one thing that strychnine poisoning has going for it as a poison for moles and other rodents is that it is 100% effective with very small doses and does not, no matter what Chris Davies or the EU says, result in a slow death. Death can be a quick as 10-15 minutes from eating the poison - a lot less than the two days for aluminimum phosphate or fatal wounding by a trap. I’m also delighted UKIP have exposed themselves as wanting to subject moles to appalling cruelty when they are killed in this disgusting way. Perhaps they’re not aware that animal welfare is a topic that fills MEPs’ postbags with thousands of letters a year? Mr Davies has clearly forgotten that the Lib Dems were relegated to 4th place in the last EU elections and have just as much knowledge of what their "constituents" are worried about from their own post bags. More, in fact, because people worried about the extent to which this country is being subsumed into a federal superstate know that they can get a genuine answer by writing to a UKIP MEP instead of eurofederalist traitors like Chris Davies. UKIP leader Nigel Farage MEP has come out in support of embattled Talksport presenter and Sun columnist Jon Gaunt. Mr. Gaunt was suspended by Talksport because of remarks made during a live conversation on placing foster children with families that smoke.Mr. Farage said: "We do not condone Mr. Gaunt's rather colourful language and some of the terms he used, things for which he has already apologised. However, it is an emotive subject and we fully support his stance on this matter. "It seems unbelievable that children, badly in need of care and affection, can be denied this chance just because the people offering to give them a home happen to smoke. "We hope that Mr. Gaunt is quickly reinstated so that he can continue to pursue important issues such as this." Would cutting VAT solve the credit crunch? 1. The economy is shrinking. Only tax cuts will give people more money in their pockets to go out and spend more, which will in turn help the economy and create jobs. 2. Cutting VAT in particular would boost business because it would lower prices for consumers. 3. VAT hits poorer people hardest, and so does the credit crunch. Lowering VAT would give the most help to those on low incomes. There's a lot to be said for this idea in principle. Unfortunately, the idea is a complete non-starter for any party except UKIP. Under European Union law, our government doesn't have the power to cut our own VAT rate because we have to pay some of the money we collect in VAT directly to the EU. Remember, without leaving the EU we are powerless to control our economy. At a time like this, we need every option at our disposal. Click here to read the Times article online. The European Court of Auditors said it had signed off the budget, to which the UK contributes £40 million a day, but it added that it could not trace the missing €6 billion. UKIP MEP Jeffrey Titford, who sits on the Budgetary Committee of the European Parliament, said it was beyond belief that with so much public money missing the budget had still been passed. Marta Andreassen, a former chief accountant for the EU and now a UKIP candidate for the 2009 Euro-elections, said the systems of financial control were so complex that the auditors had no way of telling where fraud began or ended. "The report claims to have passed the accounts in an 'unqualified' way and yet it also states that 'the Court cannot provide a clean opinion.' The truth is that the ECA is a European institution and therefore has been politicised in order that it sanitise the devastating truth about the accounts." Eastern Counties MEP Jeffrey Titford added: "Year after year the European Parliament goes through the motions of considering the Court of Auditor's report and its failure to approve the EU's accounts, and each time, over the strenuous objections of a tiny minority of people like myself, the Parliament tamely nods through the accounts. "Fourteen years of failure, 14 years of grotesque mismanagement of public money and 14 years of mealy-mouthed acquiescence by most British MEPs is enough. If any British MEP either votes to approve the EU's 2007 accounts or abstains from the vote, then his or her party should not receive a single vote in next year's European parliamentary election. The politicians are failing us, therefore, it is time for the public to act by holding them responsible at the ballot box." Marta Andreassen said the ECA had asserted without room for doubt that they had found at least €6 billion to have been wrongly paid out in 2007 from the European Union Budget. The court said it did not imply the transactions were illegal or irregular, or that there was fraud, Mrs Andreassen went on. They added that "only if funds have intentionally been improperly claimed can we talk about fraud." But the court had failed to produce an analysis on the intentionality of the improper claims. "They confirm that the improvements said to have been made in the control of the use of EU funds do not change the overall negative opinion given in prior years. "The court confirms that it is the Commission that retains overall responsibility for the execution of the budget and is accountable for this to the European Parliament and Council. So, can we please ask the European Parliament and the Council to call the Commission to account for their persistent failure in managing European taxpayers' money." We have a right to know where the EU's millions end up.Here we go again. Today, for the 14th year in a row, the European Court of Auditors will unveil their report, telling us that they refuse to clear the EU accounts. What's worse, no one will really seem to care. We are told that the accounts won't be cleared until 2020 - if then. Having worked inside the Brussels nomenklatura and having being sacked for my insistence that financial controls have to be strengthened, I am not surprised to find that nothing has changed other than the arguments deployed to defend this state of affairs. What the auditors have been saying for years is that most of the payments made by the Commission from its £70 billion-a- year budget cannot be deemed legal or regular. That is, that they cannot confirm those payments have been made to the correct person for the correct purpose and for the correct amount. It stretches credulity to insist, as the Europhiles do, that this does not mean that there is fraud. Because the payments are made to beneficiaries in the member countries it's easy enough for the institutions to put the blame on those recipients. Which is what they do, claiming that the problem is one of insufficient attention being paid to the paperwork. But who designed the paperwork that no one understands or completes? And who doesn't insist on it being completed? The institutions themselves, of course. Because this control is missing there is no way to protect against fraud or even to uncover it.We might not expect the European Union to be whiter than white, but we should at least hold them to the standard of being competent. Who is to blame for this situation? The Members of the European Parliament. For those 14 years they've been allowing this situation to continue. It's not just that too many have gone native, dreaming of their part in constructing that shimmering vision of “Europe”. It's that they've forgotten what a Parliament is for, which is not simply to pass legislation, but to hold those who implement it to account. Only a complete cynic would note that those who do complain, those who do insist that this situation must change, start to find their own activities, their own expense accounts, say, subjected to audits of much greater detailed scrutiny than are applied to the accounts as a whole. The Euro-elections in June 2009 offer the public a chance to elect those who will defend their interests, who will insist on controlling where their money is going. The EU costs Britons £40 million a day and we all deserve that so much of what is ours is not wasted in fraud. Marta Andreassen was the chief accountant for the European Commission but was sacked for exposing the corruption of the EU. She is standing for the UK Independence Party in the SE Region for the 2009 Euro elections. The Waveney branch of UKIP attended the Remembrance Day service at Lowestoft yesterday and chairman, Jack Tyler, laid a wreath. John Woodhead, the branch treasurer, said about 1,000 people attended the service which is an amazing turnout for a Remembrance Day service. There are some high resolution pictures of the service on the UKIP East website. I attended the Remembrance Day service in Aqueduct in Telford yesterday where my two eldest boys represented 1st Brookside Cubs & Scouts. There were about 40 people there in total which isn't a bad turnout when you consider that Telford didn't even exist during the two world wars and Aqueduct was only a small town. Convicted criminals in prison have been banned from voting since 1870 as part of their punishment. Our laws are a reflection (with some notable exceptions of late) of the values of our society - what we, as a people, consider to be right and wrong. It is therefore sensible to deprive someone who breaks a law that is serious enough to carry a custodial sentence of the right to vote. Not according to the EU, though. The European Court of Human Rights has ruled that it is illegal to deprive prisoners of their right to vote, prompting the British government's Joint Committee on Human Rights to warn MPs that the next general election will be illegal under EU law if prisoners aren't allowed to vote. The EU - still lagging behind! Yesterday the Parliament's Culture & Education Committee debated the issue of copyright, and in particular, how copyright laws relate to the work of the many session musicians who receive no royalty payments. Also being discussed is the length of period of copyright, and this is particularly important as so much of the music recorded in the mid - late 1950s is now falling out of copyright. As I have previously noted, the US is way ahead of Europe on this issue, having already extended the copyright period.Sadly, as we have handed so many areas of our national governance to the EU, we are now reliant on Brussels to protect the interests of our performing artists. This is appalling: Great Britain led the world in the area of popular culture in the 50s and 60s, and it is our musicians who have the most to lose. I fully support the idea of extending copyright, and I will be pleased to see session musicians properly rewarded for their talents in the future. But isn't it a shame that we couldn't have done this before, on our own initiative, without having to wait for a green light from the European Commission? Our membership of the EU and our reliance on its political institutions is hampering our progress, and this is just one clear example of how British worker's interests are not being satisfactorily addressed. If we can take back control of our own laws from Brussels, then we can regain our position as a world leader in both culture and economics. Mike Nattrass MEP is on Radio 5 Live at 10pm tonight talking, for some reason, about black people in UK politics. Presumably this is to do with Trevor Phillips' bizarre accusation of institutional racism in the political establishment which, he says, would prevent a black person becoming Prime Minister. Nothing short of introducing a law requiring every other Prime Minister to be black would satisfy Trevor Phillips. The Equalities Commission and everything it stands for is one of the biggest barriers to equality in society. I have no idea what Mike's response was to Trevor Phillips' accusation but I can guess! Labour performed a minor miracle in Glenrothes last night and managed to hold on to the seat, albeit with a reduced majority of 6,737 compared to the previous majority of about 10 and a half thousand. The SNP achieved a swing of 5% in their favour. The result was particularly disappointing for UKIP who came 7th out of 8 although this is nothing unusual in a Scottish election which begs the question: should we be wasting valuable resources contesting by-elections in a country that only votes for left wing, socialist eurofederalists? The fantastic Euro Realist November's edition is out now, and is a must read for all eurosceptics. Written by UKIP's very own Walsall-Wolverhampton Branch Chairman Derek Bennett.In this edition there is an article from Gerrard Batten MEP, My Perfect PM by Derek Bennett and news about the EU. Will Czechs reject Lisbon treaty? The Constitutional Court of the Czech Republic is set to rule on the Lisbon Treaty on 25 November, as a poll shows 55% of Czechs oppose its ratification.The treaty, an amended version of the discredited EU constitution, has already been rejected by voters in the Irish Republic, but 24 of the EU member states – including the UK – have ratified.However, the treaty cannot come into force unless it is ratified by all 27 EU states. Czech opinion has grown steadily more negative since the beginning of the year, with 45% of people saying they either do not understand it or are not sure what it is meant to do.The Czech government had intended to ratify the treaty, without a referendum, but the process was stopped until it could be determined whether it breached the country's constitution.Prime Minister Mirek Topolanek said this week he believed the Lisbon treaty could be ratified in the first quarter of next year. Public opinion seems to take a different view. Eric Wilson. Chairman Hartlepool Branch U.K.I.P. Could you survive on a 48 hour week ? In June, the UK agreed with other EU members that Britain could remain outside the directive in exchange for boosting temporary workers' rights. But the continued opt-out must be endorsed by the European Parliament, and its employment committee is now considering ending it in three years' time !! Labour MEPs have defied the Government by backing moves to end the UK's opt-out from the Working Time Directive, which aims to limit the working week to 48 hours. The employment and social affairs committee of the European Parliament voted to scrap the opt-out today 05/11/08, a decision which goes directly against the position of Prime Minister Gordon Brown. Labour MEPs were among the 35 who voted in favour, with 13 against ending the opt-out. Business groups criticised the vote, arguing that workers should be given the option of whether to work longer hours, or overtime.Alistair Tebbit, head of EU and employment policy at the Institute of Directors, said: "MEPs have made a big mistake by voting in favour for abolition of the opt-out from a maximum 48 hour week. As the EU enters recession, employers need more flexibility, not less. "If the opt-out goes it would become much harder for businesses to adjust the working hours of employees to meet changes in trading conditions. These new restrictions would impact on business performance and ultimately destroy jobs. This is the last thing the economy needs as businesses try to cope with the downturn. An estimated 1.7million regularly work more than 48 hours - with the tourism and catering industries, farmers, medical researchers and offshore workers likely to be worst affected if a cap is imposed by Brussels. The opt-out should be retained "because workers want it" . Could you survive on a 48 hour week ? the new law could cost thousands of people the chance to do overtime or there every day job. Regardless of whether you agree with this new legislation or not, How did we get to the position of allowing some unelected, unemployable politician decide on just how much a worker can earn?.This just go's to show how much Britain has lost control and is no longer able to govern herself , we must leave the EU immediently. The Conservative Home's Tory Diary have completed a survey of 1614 Conservative members and asked the question: "Should Britain join the Euro?" Only 65% of them gave an outright 'No'. So much for the Conservative Party being, as we are so often told, a Euro sceptical party. What was even more revealing that 30% of them wanted to keep their options open. If this had been a survey of UKIP members it would have been 100% no, keeping any options open would be a complete non-starter - how can a sovereign nation ever consider sacrificing its fiscal freedom and right to control its own currency and economy? Once again this proves that the Conservative Party, although having some good people who would never consider joining the euro and would like Britain to leave the EU, can never be trusted on these issues. Maybe it is time for those 65% of Conservative Party members who want to keep our pound should make the move to UKIP which more accurately represents their views. Our Site stats at Bloggers4ukip show we are having vistors even from Conservative HQ , true eurosceptic's join UKIP now! 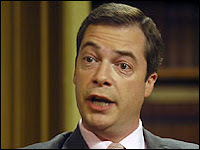 UKIP leader Nigel Farage MEP will be on the panel for Question Time on BBC1 this Thursday, 6 November, at 10.35 pm. In the midst of a financial crisis and economic recession and in the wake of the US election, he will have plenty to talk about.David Dimbleby will chair the political debate from Tottenham in London. The panel includes Energy Secretary Ed Miliband, UKIP leader Nigel Farage, the Shadow Security Minister Pauline Neville Jones, and musician and Liberal Democrat youth adviser Brian Eno. Don't you find it difficult to understand sometimes how the UK, which is overwhelmingly eurosceptic, has somehow over the years managed to elect so many europhile MEPs? Obviously a large part of the problem is that the Conservative Party pretends to be eurosceptic; but at some stage on the flight or Eurostar journey to Brussels or Strasbourg Tory MEPs undergo a dramatic change in not only attitude but policy. Within the European Parliament they are on the whole keen Europeans, happy to support and promote harmonising legislation that takes the UK on another unwanted step towards political integration. It is with interest that I read that a Eastern Region MEP, the Liberal Democrat Andrew Duff, has recently been made President of the Union of European Federalists (UEF). The UEF is a nongovernmental and supranational organisation “dedicated to the promotion of a…federal Europe”. In fairness to Mr Duff he is openly an avid europhile; although his party is starting to realise their pro-European stance is a big vote loser with the British public (as the Euro elections of 2004 so starkly showed) Mr Duff continues to try and swim against the tide of sense and reason and take our country in a federalist direction. The BNP have offered UKIP an electoral pact for the next EU elections - an offer which has been refused in no uncertain terms. UKIP member, Buster Mottram, took himself along to tonights National Executive Council (NEC) meeting and told Nigel Farage and the other NEC members that he had been talking to Nick Griffin, the leader of the BNP. He said that UKIP should take up an offer of an electoral pact from the BNP which would see the BNP agree not to field candidates in the south of England where UKIP has most support in return for UKIP not fielding candidates in the midlands and north of England where the BNP has support. The offer was refused and Mottram was asked to leave the NEC meeting. He refused and became abusive. In the end, the police were called to remove him from the building. Eric Edmunds, David Abbot and deputy treasurer and ex-officio NEC member, Martin Haslam, have been removed from the NEC for publically opposing the stated aims of the party. There are no circumstances, no possible situations, in which we would even consider doing any type of deal with the BNP whatsoever. I'm simply amazed that the BNP thought we would even consider such a thing, given that we are a non-racist, non-sectarian party. The BNP regularly targets UKIP members with propaganda, often claiming to be from UKIP supporters. A BNP plot has been suspected for some time and this is unlikely to be the end of it. A group of around 40 UKIP members are well known troublemakers who have been actively working against the party leadership for some time. They are likely to try and get members to support the BNP pact to undermine Nigel Farage's leadership. Needless to say, a BNP pact would be suicidal for UKIP but these troublemakers are so single-minded in their vendetta against Farage that they would happily destroy the party they claim to support. Well Monsieur Sarkozy is quite something isn’t he? I fear the President of France has become quite carried away in his current (and thankfully temporary) role as President of the European Union. I also think he has started to believe his own propaganda. Firstly President Sarkozy claimed to be, on behalf of the European Union, a positive and strong influence during the Georgian crisis; now he has hailed himself as being responsible for steadying the ship during the latest storms travelling through the financial markets. Sarkozy is clearly enjoying his role on the international stage, and he has used the French Presidency to “speak on behalf” of the Union as a means to further his own profile. It gives everyone a little insight into the monster that has so far been repelled – a permanent President of the European Union. This was of course proposed in the now defunct Constitutional Treaty, and was then resurrected in the equally unpopular Lisbon Treaty. But this minor hitch has not seemed to worry Monsieur Sarkozy and his posturing has led him to be publicly accused of trying to become the EU President by the back door. In doing so he has upset many, most especially the Czech Republic. Sarkozy’s proposal that countries belonging to the euro (with an invitation extended to Britain as the EU’s second largest economy) should form an emergency "economic government" with him at its head has been widely seen to undermine the future Czech Presidency. The suggestion appears to indicate that the French Presidency of the EU should continue in regard to economic affairs, making the Czech premiership (an affair of great pride to smaller Member States) an insignificant sideshow. We should take note of this worrying development. Sarkozy in the last six months has displayed ambition that will only lead the EU in one direction, and that is further integration. It has also given us a taste of what the EU would be like with a permanent President; nation states would be ignored when international events, issues and emergencies arise. Britain would become just a member of the European Union, tied to international and foreign policy designed to please 26 other Member States - all of whom have different histories, principals and objectives. This serves as another reminder why in the short term the Lisbon Treaty must be opposed and in the longer term the UK must leave the European Union. Otherwise before long we may lose the ability to make such decisions! Come and find out why you should vote UKIP in the coming (June 2009) European Elections. The UK Independence Party (UKIP) is promoting a Public meeting at The Grosvenor Hotel, Belgrave Road Torquay.on Thursday November 20th Doors open 19.00 hrs. for a 19.30 start. >Julie Harrison (UKIP PPC. for Torbay) Admission Free ! Please come and hear why your vote will not be 'wasted'This is a European election !!! and might be your last chance to express your views in lieu of the denied, but promised referendum. Since joining UKIP I have received lots of anti-UKIP and pro-BNP spam. On one occasion, I had to threaten to report Andrew Edwards (aka Richard English) to the police to stop him sending his BNP propaganda. Today I've received more spam from a new source - a BNP troll who calls himself John McHale. This got me thinking about where these BNP activists are harvesting UKIP email addresses from. There are two ways they can be getting them - either by stealing them or obtaining them "legitimately" as an employee of UKIP or a branch co-ordinator and then using them for illegal purposes. Personally, I'm inclined to believe it's the latter. So, what should you do if you find yourself on these spam mailing lists? The first thing you need to do is reply to the email (copying in everyone else on the email if their addresses are listed) and tell them you want them to stop sending you emails. If the emails keep coming you can report it to their service provider or email provider as spam. There will be a section on their website telling you how to report abuse. To find out who their provider is, go to the website that ends their email address - ie. live.co.uk, hotmail.com, blueyonder.co.uk. If they still email you, contact the police and report it as harassment. I've asked UKIP to investigate where these people are getting their email addresses from so with a bit of luck a source will be identified soon. The EU will conclude ascension talks with Croatia by the end of next year. Provided that they can show they are "doing something" about the mafia-style criminal gangs running amok in the country, they will become the next country to surrender their independence to the European federal project. These criminal gangs - like those in Romania, Bulgaria, Hungary, Poland and the other eastern European member states - will be free to travel, work and live in any EU member state. But of course, France and Germany can't resist an opportunity to plug the EU Constitution Lisbon Treaty - it is apparently an empty promise to talk about ascension dates unless they can find a way of forcing the treaty through. Yet another reason to fight against the not-a-constitution. So it's not illegal after all? UKIP MP, Bob Spink, did an excellent job of publicising the stupidity of the law that prevents us from legally displaying our national flag on our car number plates but allows the EU ring of stars logo. This law has been around for a while now and I first came across it over three years ago after an Englishman was prosecuted for having an English flag on his number plate. 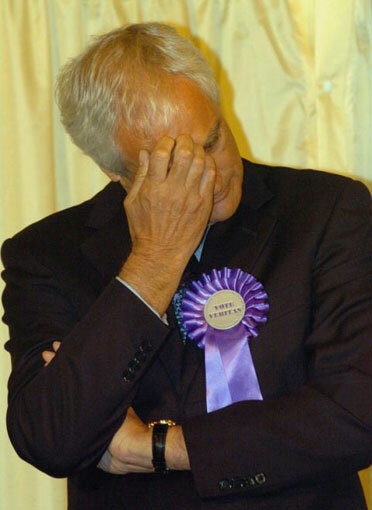 Jim Fitzpatrick, a British transport minister, told Bob Spink that it was illegal to put anything other than the EU ring of stars logo on car number plates. Then he thanked Bob for bringing it up and said they'd change the regulations to allow national flags on number plates. Which is great but it turns out that the regulations quoted by Jim Fitzpatrick don't actually ban the display of national flags on number plates, they merely recognise the EU ring of stars logo with country code (GB, F, I, etc.) as valid identification of the country of origin of a vehicle so a sticker isn't required. It doesn't require that an EU ring of stars logo appears on a number plate and it doesn't forbid the use of national flags on number plates.